If Ela Orleans' last exceptional album, Tumult In Clouds (2012) was concerned with the heavens, then you can imagine where we're all headed on its brilliant successor, Upper Hell. The Poland-raised, Glasgow-based noir-pop diviner referenced Ray Bradbury on 2011's Mars Is Heaven, and quoted Aleister Crowley on Tumult In Clouds, and she continues this preoccupation with other-worlds, and under-worlds on Upper Hell. It's loosely based on Dante's Inferno, and again tips the druid's cowl to Crowley, thus intimating (and then demonstrating) that old Lucifer still has all the best tunes. 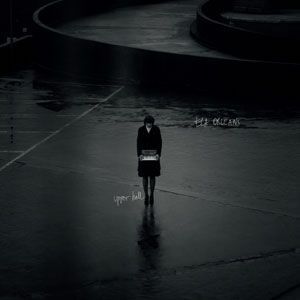 Thematically, Orleans' new LP has its roots in her previous album's 'Dark Wood' (which is where our Dante finds himself), and it is roughly hereabouts that Upper Hell commences its infernal trip, crossing the 'River Acheron' (via ye olde filmic-electro), surveying 'The Sky And The Ghost' (through harmonic, haunted tech-pop) and rolling out warped industrial-disco for 'City of Dis'. Musically too, Upper Hell reflects on what has gone before, but it's more chimerical this time around. Where previously, you might have separately filed Orleans' motley art under wyrd electronica, moody techno (as Bläck / Tract) or uncanny torch-songs, these new works fuse her myriad styles into a cohesive, dramatic whole – from choral-techno opener 'Dark Floor' to sublime machine-psalm 'We Are One', which magically conjures apparitions of lonely pipers and Scottish folk. Orleans is not the only sonic alchemist to grace Upper Hell. Producer and musician Howie B was so taken with our cult-pop protagonist's singular talent that he suggested they collaborate and then he set up a label to release the record, while Glasgow indie torch-bearers the Pastels provide gorgeous backing vocals on swansong, 'Through Me' – a fittingly heavenly send-off for this enlightening, everlasting album. Gather hope, all ye who enter. The Polish born singer-songwriter performs experimental pop with psychedelic elements, often with accompanying projections of her own home made films.